Agreement on a bill designed to regulate and tax rental income on Airbnb type rentals is close but a key question remains concerning short-term letss of apartments in residential areas. 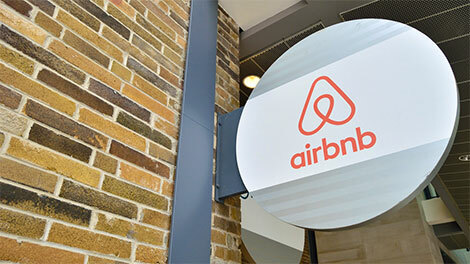 AFTER several weeks of discussion, lawmakers are close to agreeing a bill regulating the operation of short-term Airbnb-style property rentals. The key remaining question related to short-term rentals of apartments in residential areas. On Tuesday the House commerce committee said it had narrowed down three scenarios. Under the first, rentals in residential buildings would be permitted in all cases, with the owner/landlord free to charge whatever he or she wants. Alternatively, the renting out of a flat in a residential building would be subject to the approval of the majority of the tenants. The third option, which seemed to be gaining ground, would be to give a say to the management committee of a communal building. In this way, said Diko MP Angelos Votsis, a management committee would either approve or reject the use of a flat for short-term rental if this practice were deemed to cause problems to the remaining tenants. Where a building lacks a management committee, the matter would be resolved by a vote among the tenants, requiring a majority. The commerce ministry as well as the Cyprus Tourism Organisation appeared to be on board with this latter proposal. MPs will decide which is the preferred option at the next session of the committee so that the final draft of the bill can be written up and then tabled to the plenum. The legislative proposal aims to create a dedicated registry for short-term self-catering accommodation and then taxing that income, bringing cash into state coffers. The bill covers villas, residences and apartments used for tourism purposes. Earlier, the committee had heard there are an estimated 40,000 accommodations across the island being used for short-term rentals that are unlicensed and thus not subject to the legislation governing tourist lodgings. Each property thus registered is to be assigned a number, which will be used in online advertising platforms so that punters may know whether the property in question is registered or not. Though not opposed to the registry, Akel MP Costas Costa reiterated his concern that self-catering accommodations might not be able to comply with the raft of safety and technical regulations, discouraging many from renting out their properties on a short-term basis. This, he said, risked defeating the very purpose of the proposed legislation which, while intended to generate tax revenue for the state, could also strip many owners of a source of income. I have lived on the island six and half years and have always rented apartment during this time. However my last apartment has been sold by the owners and the new English owners no longer wish to rent as they want to use it for family only. No problem. But now I cannot find anything of a good quality for long term lease. Many apartments are advertised for six months only, from November until April, to cover the quiet winter season, and then revert to Air B &B. Also rents have nearly doubled in value on properties l would class as well below normal standards. I’ve viewed two apartments recently and l was appalled at what l was offered. I intend to contact our Mayor Phenodas Phenodos and enlighten him on my issues. I love this island and l want to stay but not in a hovel…. Quote: Alternatively, the renting out of a flat in a residential building would be subject to the approval of the majority of the tenants. This implies any owner wishing to rent their apartment on Airbnb has to seek the approval of other tenants? …. Tenants rent?…That doesn’t make any sense? Sadly this scenario is true I would like to rent my apartment out on short term Airbnb rental whilst all other apartments in our block are long term rentals…whose approval do I seek then? Great! The management committee should know best if holiday rentals will be a nuisance or not. Most incomes are used to pay of communal maintenance fees anyway. Where can we find a list of regulations for health and safety? Also the CTO should be monitored for bias and corruption to avoid any nepotism in handing out of licenses that happens with other associations. If the third proposal is accepted that is that management committees decide whether an owner in a communal block can rent out for short term holiday lettings or not it could also solve the problem of owners who refuse to pay their communal charges in other words they could be refused permission to rent out if communal charges are unpaid . I do not agree with the idea other owners should decide if you can rent out your property or not. In renting out your property is to help with the maintenance fees. It would only take one individual to say no and that is the end of renting. I don’t know if other people feel as I do it stinks.